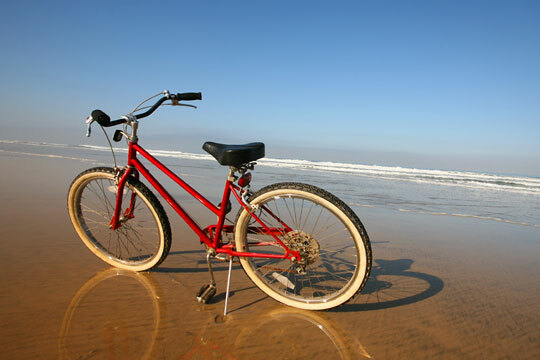 Whether you are interested in road biking, want to take on some tough mountain trails, or are just looking for a way to casually trek around the neighborhood, there's a bicycle out there that's perfect for you. When deciding what bike is best for you, there are two main factors you must consider: what type of riding best suits your area, and what type of riding you want to do. If you plan on riding off-road or on rough dirt roads, a mountain bike is probably a good choice. A mountain bike typically has wheels that are 26 inches in diameter and two inches in width, with a knobby surface designed to withstand rough surfaces. Mountain bikes usually have at least 21 gears, with grip shifters or under-the-bar trigger shifters. Some older mountain bikes have over-the-bar thumb shifters. Handlebars are upright with a slight rise, but can also be flat across. 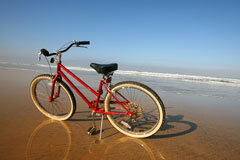 Mountain bikes can have front suspension, or they can be fully suspended; they weigh in the 22 to 28-pound range. 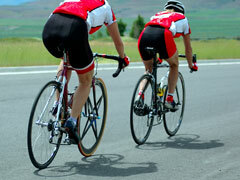 If you would like to ride mostly on hard, flat surfaces, then you should consider a road bike. A road bike's lightweight, wind-resistant design allows the cyclist to use less energy traveling a farther distance at higher speeds. Road bike tires are 700 cm in circumference and have a width that varies between 20 and 28 mm, depending upon road conditions and the rider's size. Road bikes have at least 14 speeds, and shifts are usually located on the brake levers. Suspension is available on specially ordered bikes but is uncommon. Road bikes have handlebars that curve under for wind resistance, and weigh 20 pounds on the light side, 25 pounds on the heavy side. 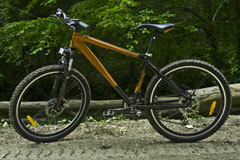 If you would like to do a little off-road riding and a little road touring, then a hybrid bike might be a good choice. Hybrid bikes are designed so that they are comfortable on the road, but can also withstand off-road trails and bike paths that aren't too extreme. 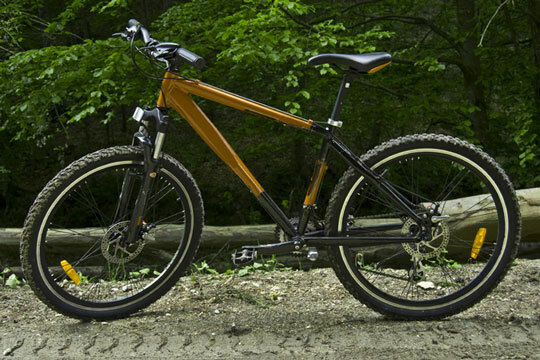 Hybrid bikes have wheels that are 700 cm in circumference, with a width of 1.5 inches. Hybrid bikes have no less than 21 gears, which are operated by grip shifters or under-the-bar trigger shifters. Suspension seat posts are often included to increase comfort, and handlebars are usually upright with a moderate rise. Hybrid bikes usually weigh between 23 and 28 pounds. If you are looking for a really comfortable riding experience on paved roads, dirt roads, and bike paths, consider the comfort bike. Just like their name implies, comfort bikes are designed to be comfortable! They feature a mountain bike-style frame and upright, well-padded seating. Suspension seat posts, front shocks, and suspension stems add to the rider's comfort level. Comfort bikes have a wheel size of 26 inches in circumference and two inches in width. They feature at least 21 gears, which are accessed by either grip shifter or under-the-bar trigger shifters. They feature upright handlebars with a moderate rise, and weigh between 24 and 29 pounds. Finally, if you just want to tour around town, consider the cruiser. The cruiser is designed for flat surfaces, and varies from single speed to having seven speeds. Wheels are 26 inches in circumference and two inches wide. Handlebars are usually upright with a significant rise to allow for a comfortable, upright position.